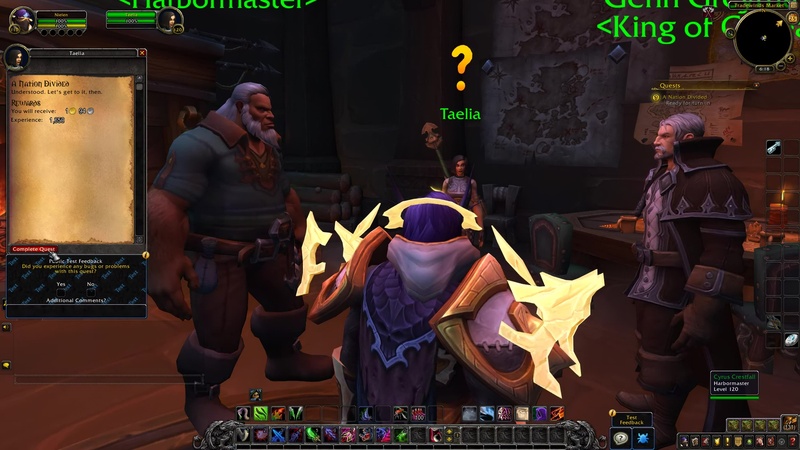 Taelia: Kul Tiras must be unified before it can be of any help to the Alliance. Let’s get you briefed on the current situation in each of our major territories. Then you can decide what to focus on first. 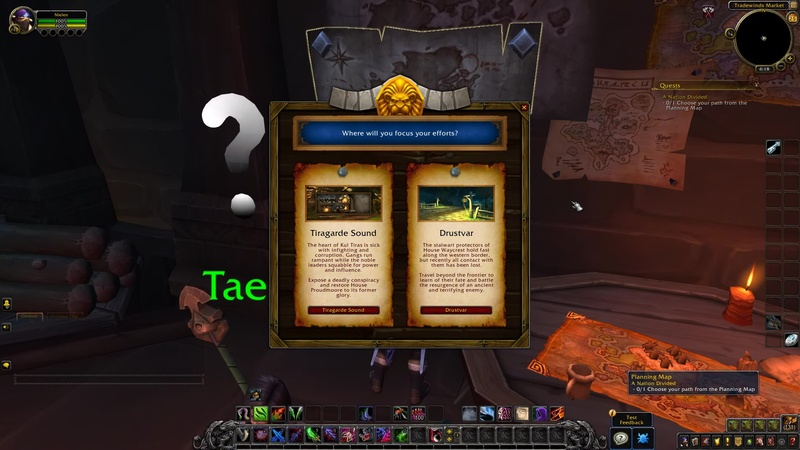 Use the Planning Map to choose where to begin your adventure in Kul Tiras. 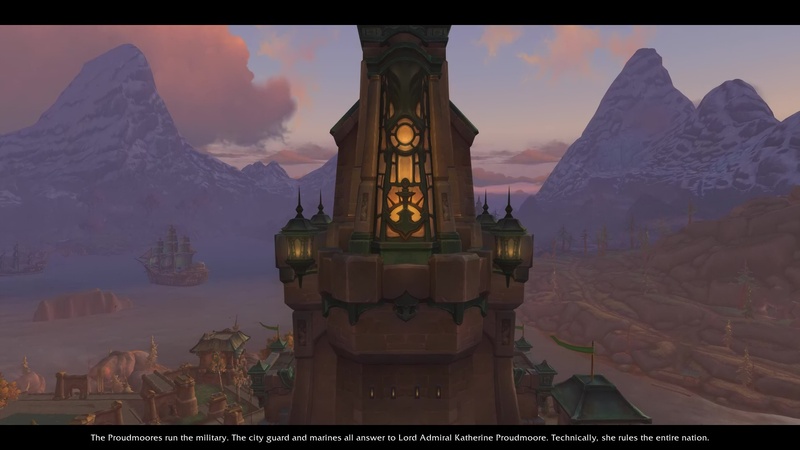 CUTSCENE: Kul Tiras is made up of several major houses. Here in Boralus, the power is mainly split between Proudmoore and Ashvane. The Proudmoores run the military. The city guard and marines all answer to Lord Admiral Katherine Proudmoore. Technically, she rules the entire nation. Ashvane controls our wealth. 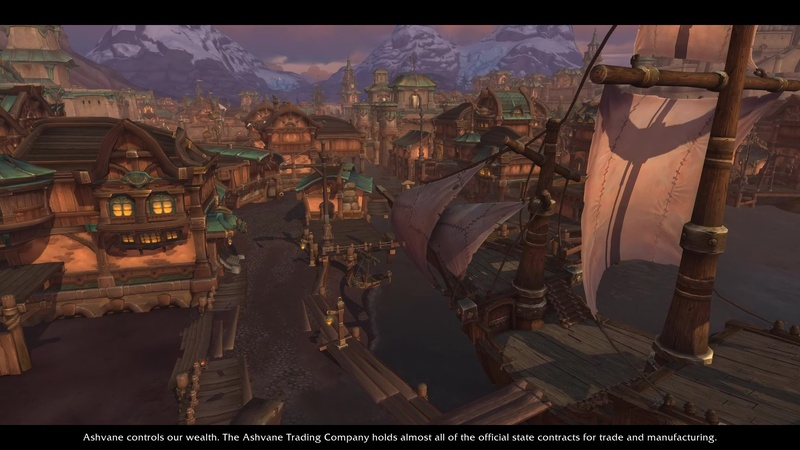 The Ashvane Trading Company holds almost all of the official state contracts for trade and manufacturing. They have steadily amassed power over the years since Daelin’s passing. Pretty much everybody works for them in one way or another. Even the gangs. We know they’re crooked, but without concrete proof we can’t bring them to justice. 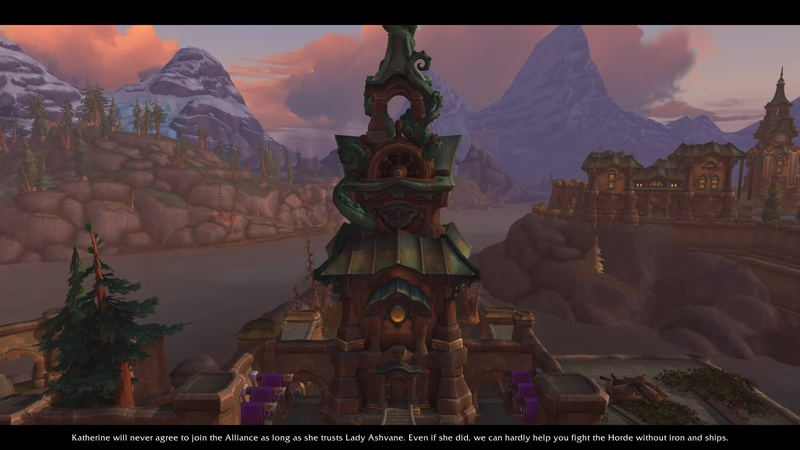 Beyond Tiragarde Sound are lands held by the Wavecrest and Stormsong Families. 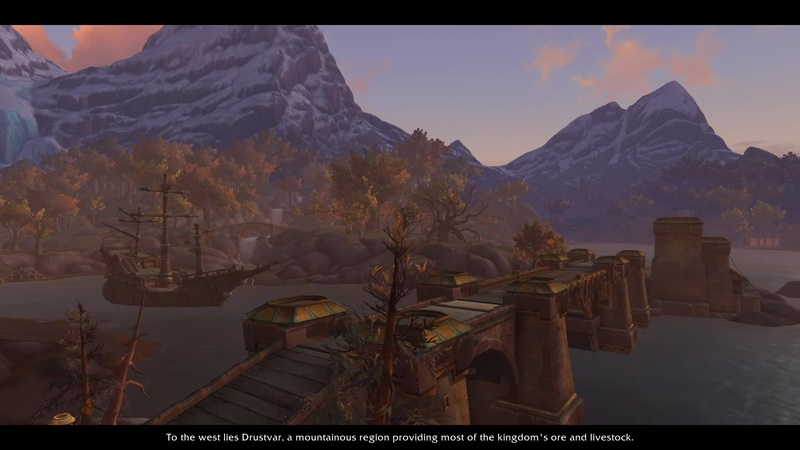 To the west lies Drustvar, a mountainous region providing most of the kingdom’s ore and livestock. 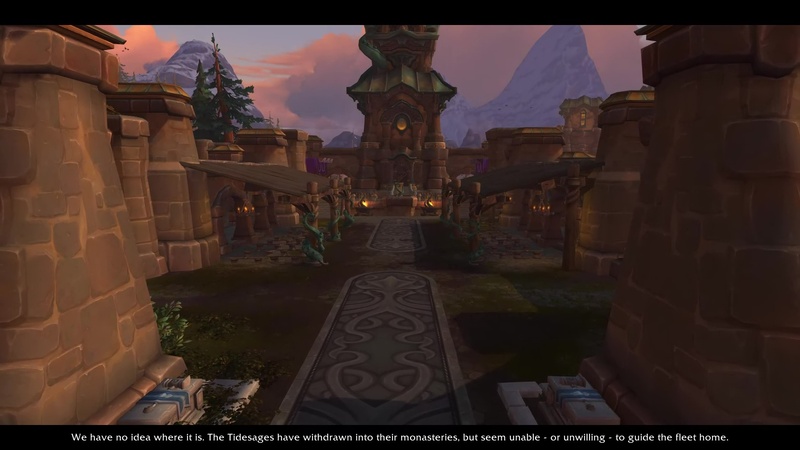 The Waycrest family used to be strong supporters of Proudmoore rule, but lately all we hear from the west are troubling rumors of blighted lands and bloody witch hunts. We won’t be much use in a war without their iron. 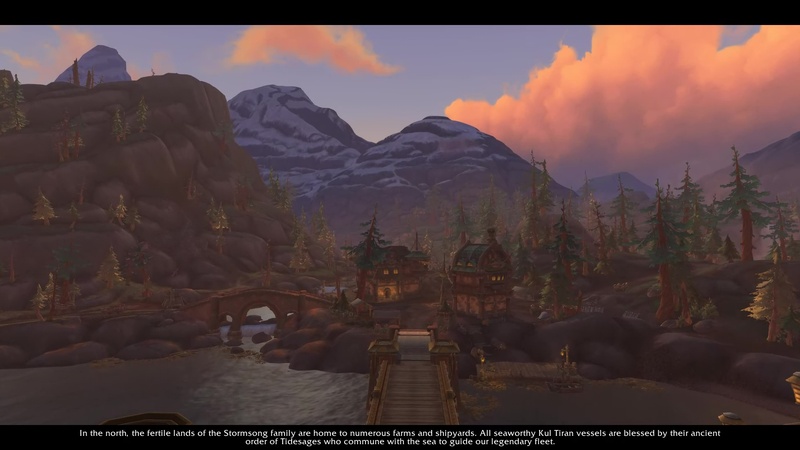 In the north, the fertile lands of the Stormsong family are home to numerous farms and shipyards. All seaworthy Kul Tiran vessels are blessed by their ancient order of Tidesages who commune with the sea to guide our legendary fleet. We have no idea where it is. The Tidesages have withdrawn into their monasteries, but seem unable – to guide the fleet home. Katherine will never agree to join the Alliance as long as she trusts Lady Ashvane. 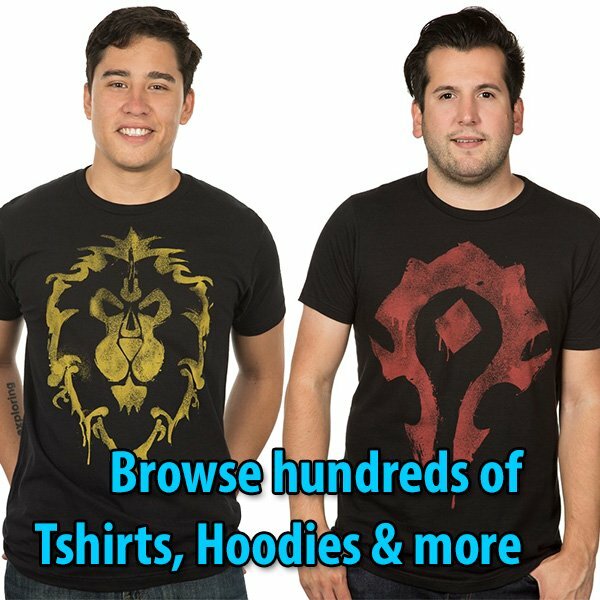 Even if she did, we can hardly help you fight the Horde without iron and ships. 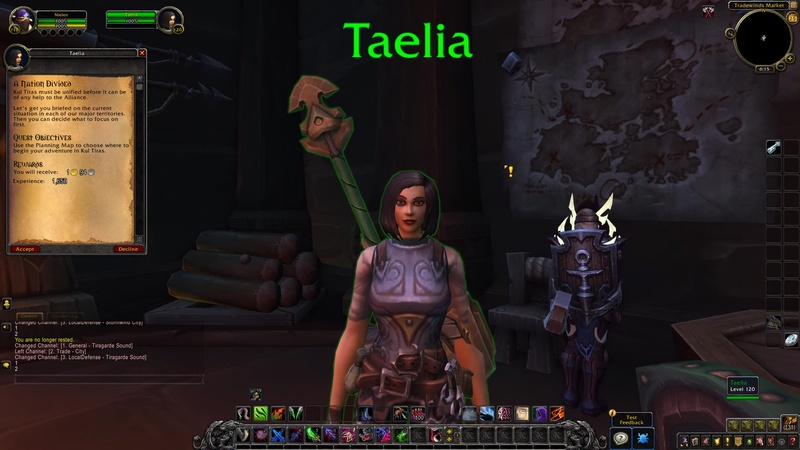 Taelia: Understood. Let’s get to it, then.